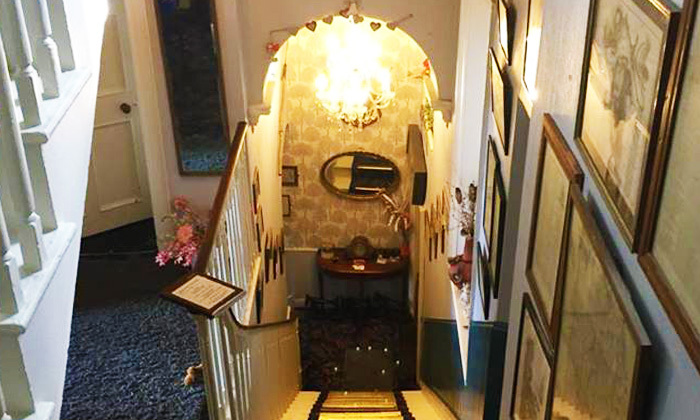 Old Bridge House bed and Breakfast Enniscorthy is located in the centre of Enniscorthy town in South East Ireland overlooking the river Slaney, well known for it’s salmon and trout fishing. We are also very close to all amenities such as the train and bus station, taxi service, three screen cinema, swimming pool and surrounded by wonderful pubs and restaurants. Old Bridge House B&B Enniscorthy is also just fifteen minutes walk up to the top of Vinegar Hill which was the focal point of the 1798 celebrations commemorating the famous battle that was part of the great Irish rebellion of that year. There is a lovely feel to our Georgian town house, it’s a big fine old rambling building, tastefully renovated. The building itself dates back to the early 1800s and still retains all the style and charm of that era. While having breakfast, you can gaze out on to the river Slaney, gently running by our front door. The river is well known for excellent salmon and trout fishing and you can watch the fishermen fishing from the bridge from the comfort of your own bedroom.